Whether you live in a small college town or a big city home to a few universities, you may encounter students taking their first steps into the rental market as they seek off campus housing. College students are a risky tenant population, but how can you tell if these potential tenants are raucous party types or reliable young renters more likely to hit the books on the weekend? Being able to tell the difference matters if you’re going to protect your property. If you’re considering renting to college students, here are 5 things you should keep in mind before handing over the keys. Managing young renters can be a challenge, but if you can build a respectful and cooperative relationship with these tenants, their future landlords will thank you. In today’s culture, helicopter parents can be more trouble than the college students they come along with. If you’re going to rent to college students, start by filtering out the ones whose parents call to inquire about your property for them. If they aren’t mature enough to make the phone calls and ask the questions themselves, it raises questions about whether they are also mature enough to pay the rent on time or keep their apartment clean. Parents who call to ask about properties for their children also raise other concerns, namely that they will always be flying interference for their children and that you’ll have to listen to complaints from parents or other forms of constant nagging. College professors have been dealing with it for years now. Don’t allow this parental hovering to overtake your business. While the last thing that you want is a helicopter parent on your hands, you don’t want to completely eliminate the role of parents when renting to college students. Rather, you want to keep them involved on several levels in order to protect yourself. 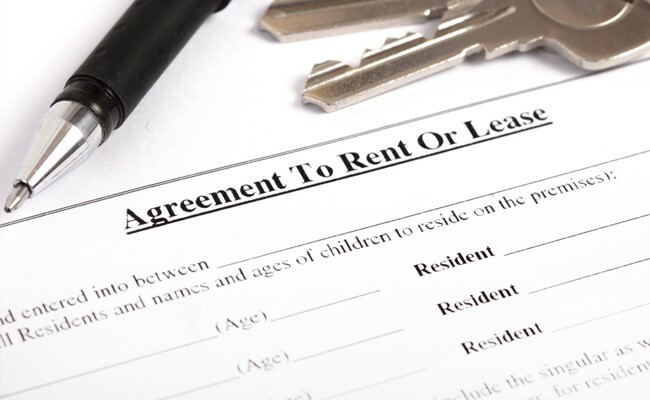 First, recruit parents as co-signers for any rental agreement. This will help you manage the lack of credit history that is common when renting to college students. Additionally, while it may be the student’s job to pay rent, many of them won’t have more than a part-time campus job because being a student is their main priority. This means that their parents will be paying the rent anyway. By adding them as co-signers, you recognize this reality and hold the parents accountable. Although you don’t want parents constantly calling you about every little hiccup in their student’s life, being able to call them about big issues is another good reason to tie them to the lease. If you’re having big problems with a student renter and they aren’t responding to attempts to contact them or they are failing to change their behavior, it may be time to call their parents. Save this intervention for major problems, but be ready to employ it if things are going really wrong. You’ve got a clearly written lease and it enumerates exactly what is and is not permitted on the premises. That’s absolutely vital from a legal perspective. However, when you’re renting to college students, this may not be enough. You can’t count on young renters cross-referencing their lease any time they make a decision or are wondering about a rule – in fact, depending on the length of your lease, you can’t really rely on any renter to do this. Instead of listing your rules exclusively in your lease, make a property rules cheat sheet. Hand this out at move-in or laminate it on the back of a door, much like at a hotel. The more readily available the rules are (and the harder to lose), the harder it will be for your tenants to claim they didn’t know something was forbidden. Additionally, don’t be afraid to set out rules that seem like they could go unspoken. These might include things like not climbing on the roof or not using fireworks on the property. College students are often looking for a bit of adventure or just a fun time, and their actions sometimes get ahead of their rational thoughts. The clearer you are, even about things you leave unspoken with other tenants, the better your relationship will be. With little or no credit history and possibly no rental history as well, it can be hard to figure out how to screen a potential college-age tenant. Sure, you can get parent co-signers, but they have a vested interest in their child having a place to live. Instead, you need a less interested party. One good way to screen college students before renting to them is to contact the housing system at their college or university. Ask the housing administrators if your potential renter has ever been evicted from the dorms or student apartments. Colleges are very experienced when it comes to dealing with immature student tenants and they have a high tolerance for misbehavior and damage. If a prospective renter has been kicked out of student housing, that’s a sure sign you don’t want them on your property. It may sound unorthodox, but one strategy that may help keep college-age renters in line is oversight by another student. If you have a current student renter who is very reliable and respectful, or even a very recent graduate still living on your property, consider giving them a rent break in exchange for serving as a resident advisor. Resident advisors are used in college dorms and it works well for, not only managing behavior, but also for keeping students from treating you like a surrogate parent. Instead, they can go to their fellow student for help or advice. At Green Residential, we know the ins and outs of renting in the Houston area real estate market. We specialize in property management, tenant screening, evictions, and inspections and our team of professionals will stand by you every step of the way. Whether you’re an established landlord or just breaking into the rental market, contact us today. We can help you navigate the most challenging parts of being a landlord with ease. Even when being a landlord isn’t the most fun, we can make sure everything keeps running smoothly.